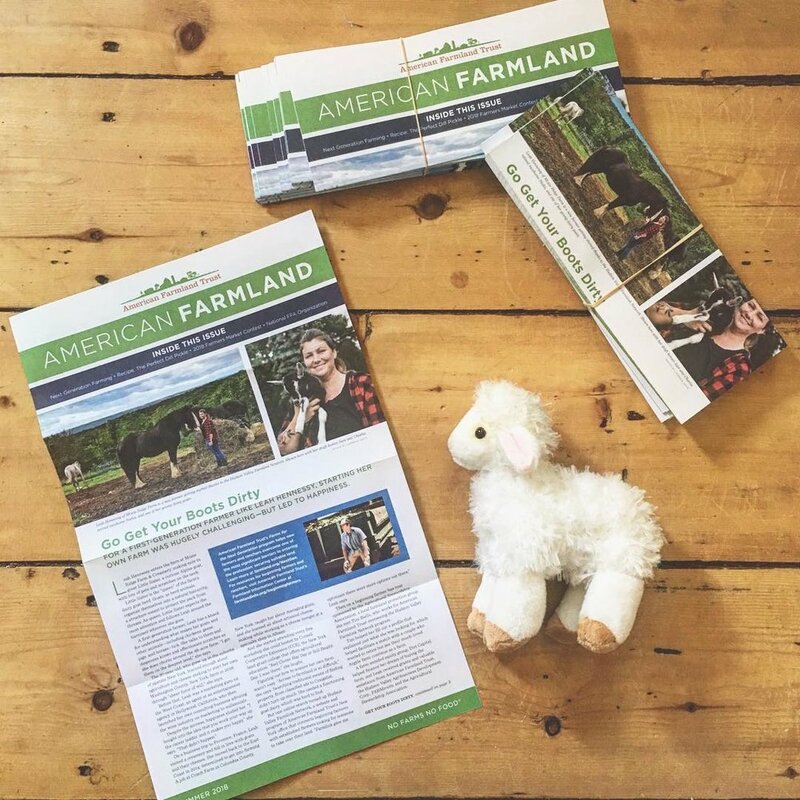 You may have seen the stickers that say "NO FARMS, NO FOOD" around - that is the tagline of an organization called American Farmland Trust, a non-profit dedicated to preserving farmland in the US. They also happen to be a very big part of how Moxie Ridge was started here in Washington County. This is an organization I have always looked up to and have donated to in the past, so when I was contacted about being featured in an AFT newsletter, I of course said yes! The resulting story is on this Summer's cover of the national newsletters hitting mailboxes now, and features gorgeous photographs by Lawrence White. There have been many instances of "full circle" so far in the couple seasons Moxie Ridge has been around, and going from a supporter to being a featured farmer by AFT has been a very special experience for me and I'm incredibly grateful to them for everything they do.